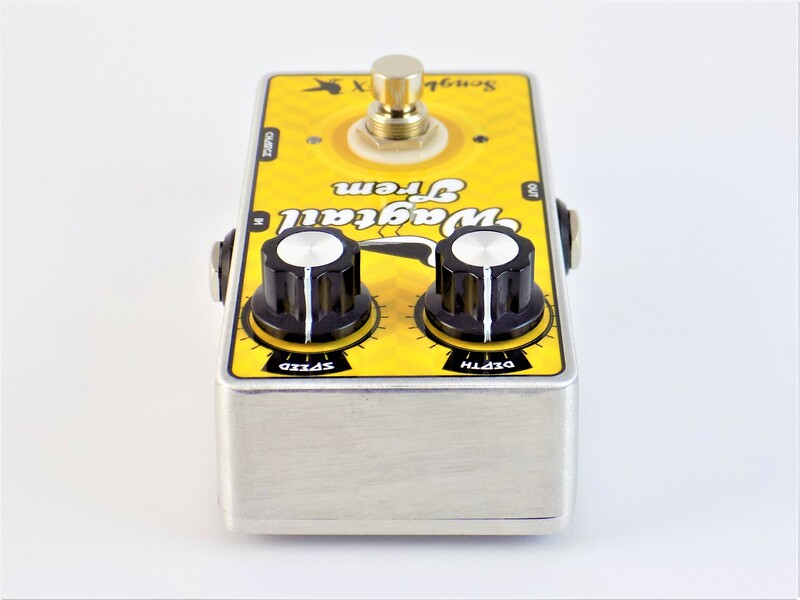 The Wagtail Trem is a Vactrol-based tremolo effects pedal for electric guitar. 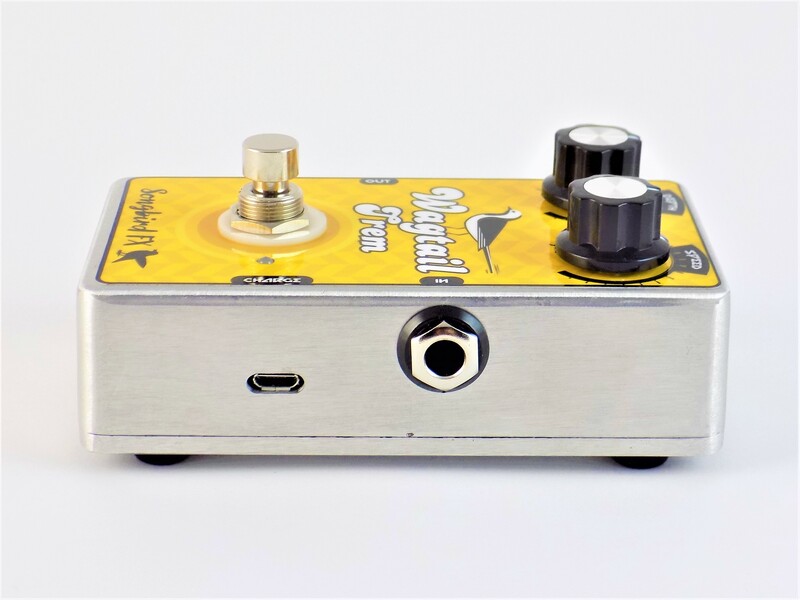 It recreates the legendary amp-style tremolo sound of the sixties that can be heard in songs like CCR’s ‘Born On The Bayou’ and ‘Gimme Shelter’ by The Rolling Stones to name two. 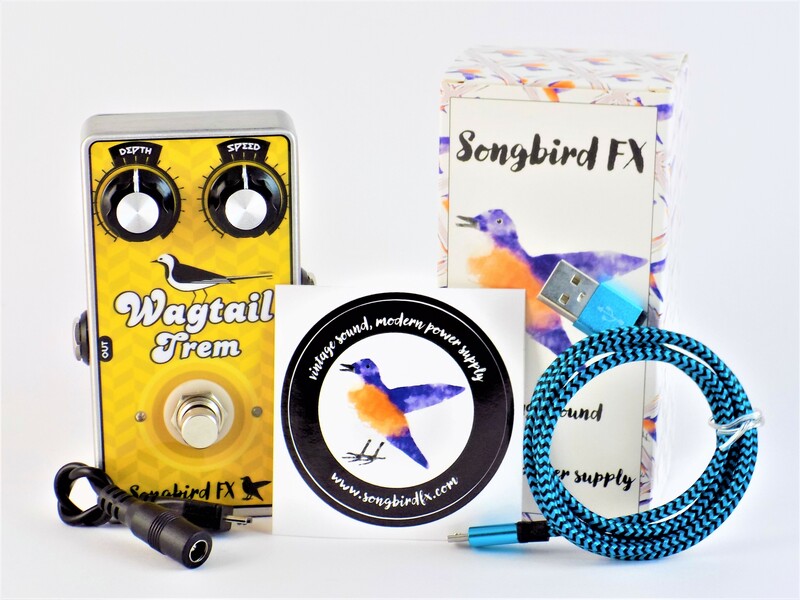 Highest build quality and an innovative charging circuit make the Wagtail Trem the perfect choice for professional and semi-professional musicians as well as demanding hobby guitarists. The pedal simply blew my mind. It behaves just like those old Super Reverb amps! The knobs react very sensitive. This vibrato is perfect for sound-surfing and it doesn’t overlay the output sound, instead it is perfectly placed underneath the sound. Absolute hit and recommendation! The Wagtail Trem is rechargeable via USB, so you will never have to replace batteries again. 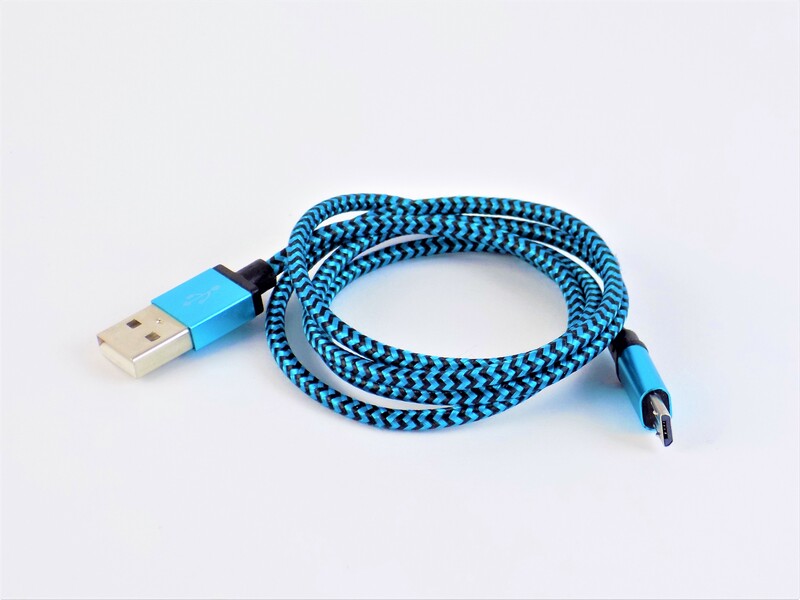 Just plug it into your USB wall charger or your computer and in less than two hours it will be fully charged. The battery lasts more than 60 hours of playing time. 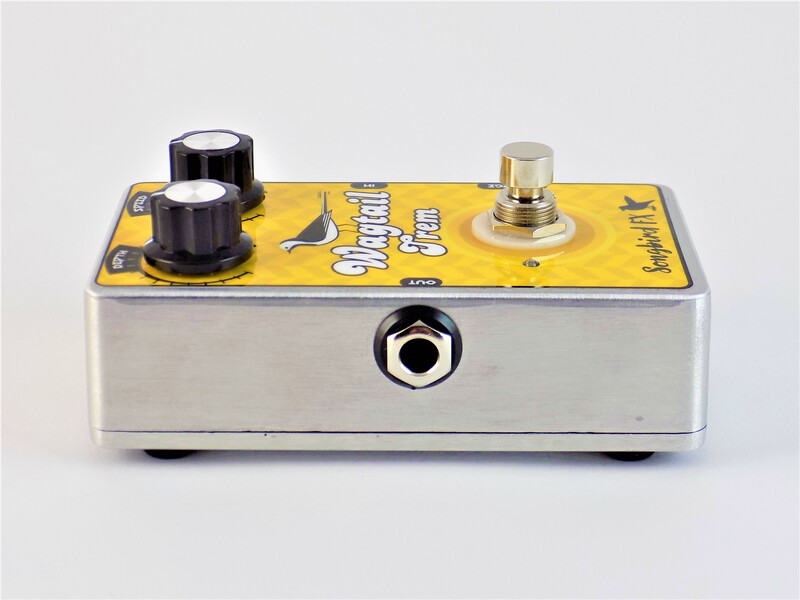 The analog circuit is a recreation of the famous optical tremolo that Fender built into their blackface and silverface amps in the ’60s. Furthermore the circuit has been optimized for lowest noise and distortion. Thanks to the new charge status indication you will never run out of battery: If the ON LED turns from green to red you will have at least five hours of remaining playing time. 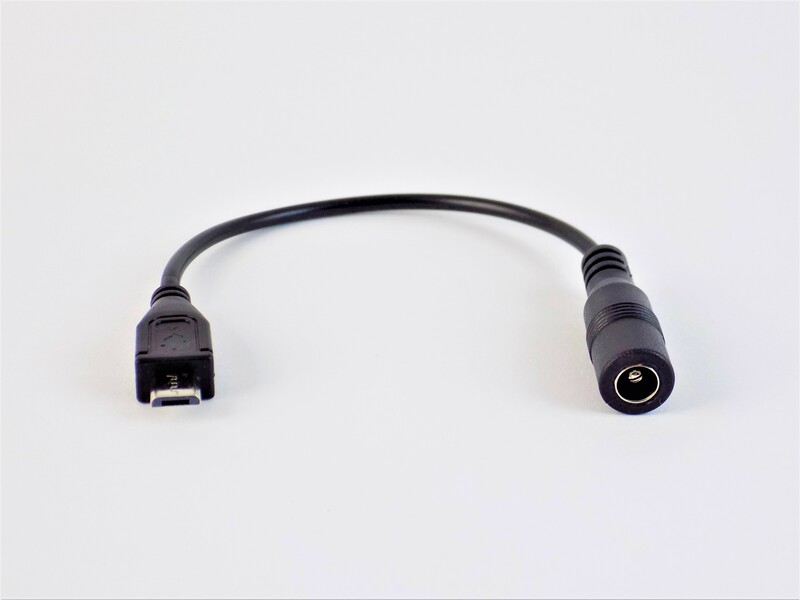 Thanks to the included adaptor cable you can also charge the Wagtail Trem with a standard 9V DC power supply (Boss polarity). The ON LED also works as a speed indication. Battery powered operation prevents mains hum and other electrical noise from coupling into your sound. 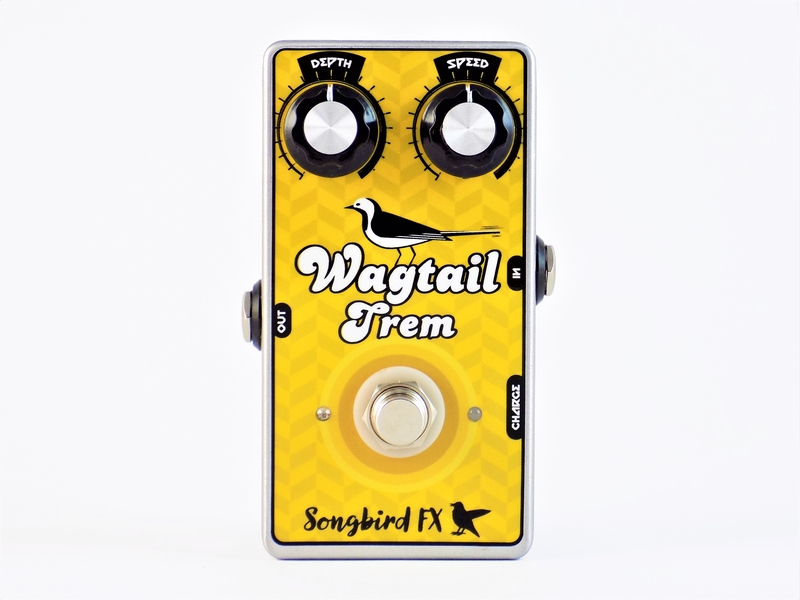 The volume level of the Wagtail Trem is adjustable with an internal trimpot. 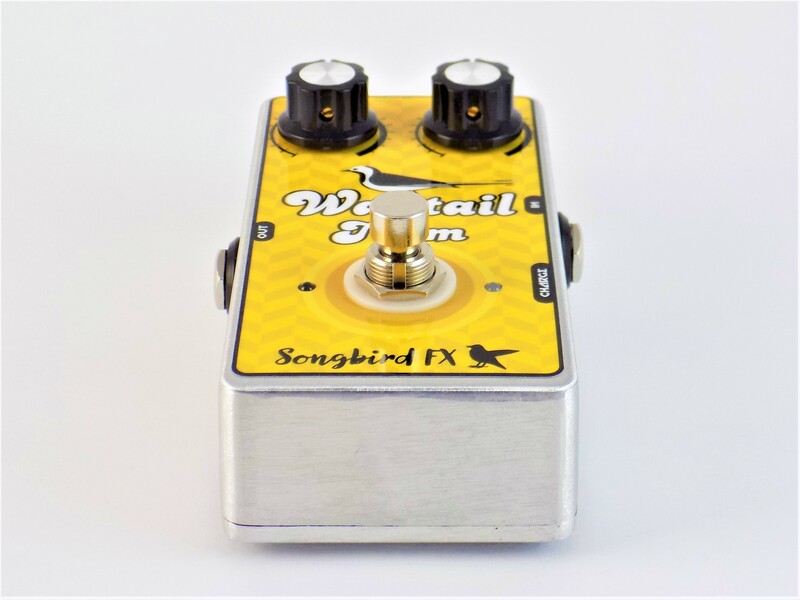 The Wagtail Trem comes with true bypass and true on/off wiring to make sure your tone is not affected and your battery is not drained when the pedal is turned off.